Though he achieved great things in his education and career, Adam S. Bennion never lost touch with his humble beginnings. He was born December 2, 1886, in rural Taylorsville, Utah Territory. His family had very little, and his father, Joseph B. Bennion, died when Adam was only two years old. His mother, Mary Ann Sharp, raised him and his three sisters on her own; his three other siblings died in early childhood. Adam S. Bennion set his sights high from the beginning. He attended and graduated with honors from the University of Utah and then took a job teaching at LDS High School in Salt Lake City. In 1911, he married Minerva Richards Young, and the young couple moved to New York, where Adam earned a master’s degree at Columbia University. When they returned to Utah, he began teaching at Granite High School, where he later became the principal. He and Minerva had three sons and two daughters. After taking a course in Sunday school administration from the University of Chicago, Adam S. Bennion joined the University of Utah faculty in the Department of English. He was also appointed a member of the General Board of the Deseret Sunday School Union, and in 1919 he became the superintendent of the many LDS Church schools in operation. In that capacity, he oversaw the beginning and expansion of the seminary program. He served there until 1927, except for a hiatus in which he earned a doctorate degree at the University of California, Berkeley. Adam S. Bennion then began working for the Utah Power and Light Company. 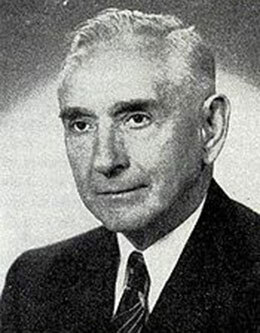 He ran unsuccessfully in 1944 as a candidate for the United States Senate, and though other opportunities were opened to him after the election, he chose to return to his job at Utah Power and Light, where he stayed until 1947, when he became the director of the Denver and Rio Grande Railroad. In 1953, Adam S. Bennion was called to serve as a member of the Quorum of the Twelve. He had been a member of that quorum for five years when he passed away on February 11, 1958. Though his tenure as a general authority was short, his life and service are well remembered. In addition to his academic and business achievements, Adam S. Bennion wrote many books and articles throughout his life on both Church and economic subjects. He was known for having a friendly spirit toward all he met. In these BYU devotionals, he counsels students in regard to their spiritual progression as well as their temporal aspirations. His amiable humor is readily apparent, as is the passion for education that spurred him to seek both secular and spiritual learning throughout his life.